“VIY: The Spirit of Evil” is an eccentric adventure fantasy movie with a hint of suspense and the occult. It hits Manila theaters starting this October 22, 2014. Produced by Russian Film Group and Marins Group, “Viy” is loosely based on the Nikolai Gogol story of the same title staring Jason Flemyng from The Curious Case of Benjamin Button (2008) and Charles Dance who plays Tywin Lannister in HBO’s Game of Thrones. Seats For Two got to see its exclusive press screening at MyCinema in Greenbelt a few days ago to which we were treated to a different movie experience of adventure and fantasy in 3D. It started with a challenging premise to uncover a mystery enthralled with darkness and fear. “Viy” is the name of the dark and notorious monster responsible for the deaths of many village folk in a sleepy 17th century Ukrainian village. The movie goers were then sent to a journey of twist and turns leading to a discovery of deception which mixes religion, science, and man’s nature. Set in a dark-age atmosphere, the film tells about the voyages of a cartographer, Jonathan Green, who was spellbound by a heavy fog on his way to Eastern Europe and chanced upon a Ukrainian village which is under siege by the monster Viy. “It’s a classic story of redemption and of love and of adventure. The special effects and the 3D is as good if not better as I’ve ever seen it, so the potential is limitless. 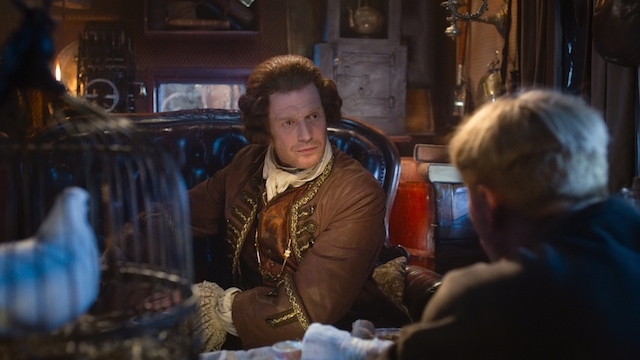 I’ve made a hundred films now and five of them I love, and Viy is one of those five,” remarks lead Jason Flemyng. The movie “Viy” was shot in Prague at the Gatteo, Barrandov, and Letnyany studios, world-renowned locations that are also called the “European Hollywood” and home to the production of many blockbusters, such as Van Helsing, The Brothers Grimm, The Chronicles of Narnia, Casino Royale, Hellboy, Blade. “Viy” is said to have become a hit when it was first released in Russia earlier this year with its first weekend take amounting to $17 million – an all-time record for a Russian movie. It is distributed internationally by Universal Pictures and will be shown in 3D in select theatres in Metro Manila, and in 2D around the Philippines. It’s a mix of fantasy and adventure with some elements of a horror movie plus a hint of Van Helsing. Some sequences and editing could be improved but it is best to watch it without expectations and just enjoy the ride. 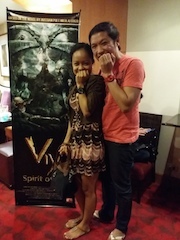 The movie “Viy” is best watched with a friend whom you can confer with as some story twist will make you think and analyse what just happened. Make sure to finish the movie where things will be brought to light and give you unexpected realisations.